Fun-filled holidays in Penmarch in a mobile home are available in this residence. 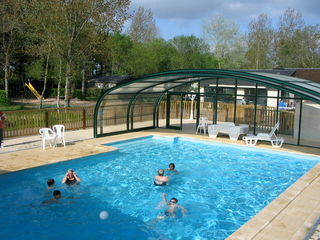 At your holiday residence in Penmarch a swimming pool is at your disposal. Cats, dogs or other pets are accepted on your holiday place in Penmarch. You can enjoy the indoors swimming pool of your residence in Penmarch during your stay regardless of the weather outdoors. If are going on vacation by car, you can park it safely in the parking lot located on the residence of your holiday resort in Penmarch. 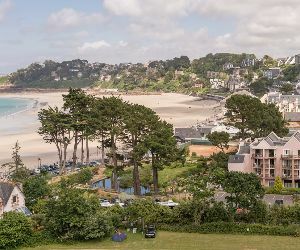 If you wish to have Internet access during your stay in a residence at the holiday resort in Penmarch, you can connect your computer to the Wi-Fi covering residence area. In the residence in Penmarch you can perfect your backhand on the tennis court which will be at your disposal during your holidays. For your comfort, your holiday resort is located in close proximity to several shops in Penmarch. Be the first to leave your review by clicking here. When to go to Penmarch ?